During a mission trip to inner-city Kansas City I found myself sharing the gospel with a homeless man. As his alcohol-laced breath washed over me I began wondering if this man was actually a believer. He was speaking as if he understood fundamental elements of who God is, that he understood the effects of the Cross, he seemed to understand and be convinced of the sinfulness of mankind. Just as I was beginning to encourage myself that this man was a believer he took a really strange detour. The next thing I knew we were talking about Moses being an alien and a whole host of other weird things. What had originally sounded like an understanding of the gospel was everything but. He was using the same terms as me but meant something entirely different by them. Apparently “salvation” to him was rescue from our secret Martian overlords. I wish I were joking about this story. I feel bad for this man that probably has a mental order but is left untreated on the streets of Kansas City. I pray, as I did then, that the Lord will rescue this man in his wilderness. I also wish that this story were not so common. People may not think that “salvation” equals rescue from Martian overlords but they might as well. 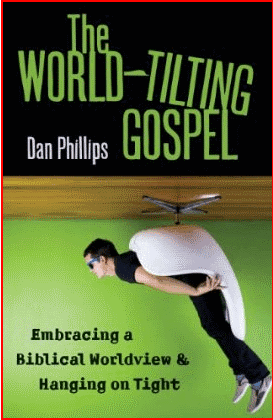 Because of this deficit Phillips has written The World-Tilting Gospel. His central aim in this book is to give a “whole-biblical worldview that assigns specific meaning to the words that expresses the gospel” (306). Phillips does not quite follow the God, Man, Christ, Response narrative but it is close. He begins with who we are—or maybe who God is—or maybe who we are. From here he looks at the Fall and the pitiable state of our condition. He then moves on to discuss the accomplishment of Christ and then in part three he looks at two truths that allow us to “get in”. The fourth part of the book—which is six chapters long—is dedicated to the living out of the Christian life. Throughout each of these chapters Phillips writes with the fervor and passionate dedication to God and the Scriptures that readers of Team Pyro and his own blog Biblical Christianity have come to expect. His writing is engaging, challenging, and clear-cut. He makes a compelling case for our need to believe again the powerful World-Tilting Gospel and forsake shallow replacements. As I read through this book I couldn’t help but think that I would love to get this book in the hands of many within our church. Even at points when Phillips engages in often difficult areas of doctrine he writes with clarity and a biblical focus. Though they would be greatly challenged, I do not think any member of our congregation would be lost in “big theology words” or anything of the sort. Going through first three sections I kept telling myself I want to give this book to a few people. Then I started reading the fourth section. As I made my way through this section on Christian living my attitude changed. Now, rather than saying it’d be nice to give this book to a few people I kept thinking I MUST get this book in the hands of many people in our church. Phillips’ dealing with the misguided mindsets of Christian living is worth the price of the book. He puts his finger on a crippling aspect of much evangelicalism, he rips it open with biblical truth, and applies the powerful gospel. Even if you are a pastor or student, like me, that reads through tons of books on theology you will gain much from this book. Through most of the book there was not a ton of new information but it was applied and written in such a way that it helped make biblical concepts crystal clear and memorable. Phillips says things in ways that I found myself wanting to emulate as I preach through certain sections of Scripture and on certain points of theology. Great writers do this, and Phillips is a great writer. You’ll want to purchase this book and work your way through it. You can get it here for 12.00 in paperback or 10 bucks on your Kindle. I’ll second this review. Good book, plenty of bang for your buck. This book wasn’t on my radar, but I’ll definitely have to give it a read. In general, I think the topic of words and their loss of meaning in our contemporary culture is particularly relevant to the way in which modern Christianity interacts with society. Zack, most of us here try to pretend we don’t know Mark Lamprecht. Thank you so much for your gracious words, Mike. Praise God for the inexhaustible glories of the Gospel. Bro. 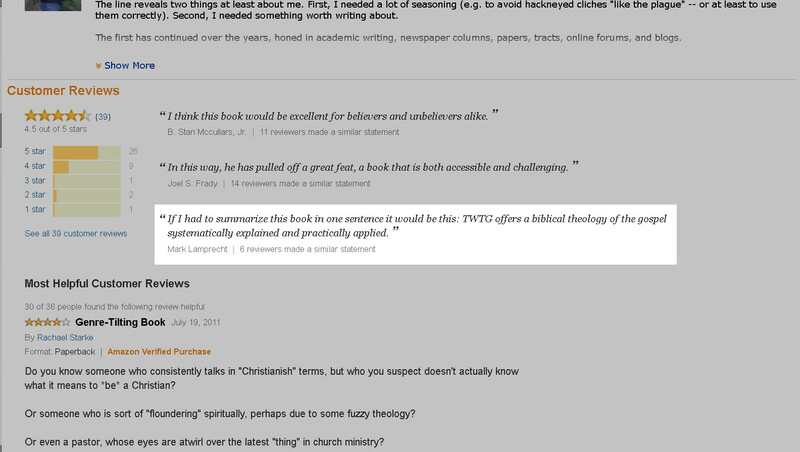 Leake, Thanks for the book review. Always looking for a good new read. The Kindle version is next on my list. Sounds like the encounter with that homeless man was an encounter with one of the thousands of mentally and emotional-ill people who have no support system and live on the streets . . .
they suffer greatly and many do self-medicate with alcohol when they can get it . . .
you’ve probably encountered some of them in hospital emergency rooms, kept overnight on gurneys, brought there by the police because the police had no other place to take them . . .
such is the fate of these people who need to experience the love of Christ the Lord through the care of His followers who can get them into some kind of sanctuary where they can be protected and given the proper help for people in their condition . . .
but also that, in caring for those who need Christ’s love, they have been blessed to come closer to the Source of that love themselves. WHAT TO DO, if you encounter a mentally or emotionally ill person who is homeless in your street ministry? Try to find out about them and if they have some support system, and if not, try to make an effort to connect them to some help . . .
but in that way, when you look out for their welfare, you are sharing with them the concern that Our Lord has shown to so many when He was among us in those days. That Blessed Concern must now be yours to give. Our Lord’s love is also for the helpless, the lost, the harassed, and the ones who suffer. If you do His work with those who need Him most, you will come to know Him more fully, as will those you help. Drives me crazy when that happens. 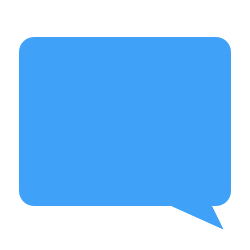 How easy is it to explain the idea of “equivocation” to someone in conversation?